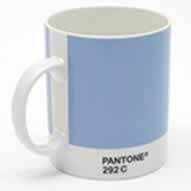 It was in the early 1950s that Pantone first emerged as a Printing Company. In 1956, Lawrence Herbert joined the company as a temporary, part-time employee and worked ín the company's pigments and inks division. He set about to simplify and establish an unique colour coding system which soon became a passion and resulted in a colour specification system that isunderstood and used globally. In about 6 years after he joined, he was running the division at a profit and soon after, he purchased the company. It was in 1963 that he established the Pantone® Matching System® popularly known as PMS. Soon Pantone® became synonymous with design in all areas where colour is used but especially so in the fields of printing, advertising, ffashion, art and architecture. Lawence Herbert is currently the Chirman and Chief Executive Officer of Pantone Inc., the company he built to what it is today, which has its headquarters in Carlstadt, New Jersey NY USA. 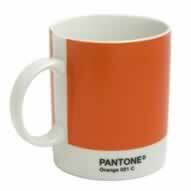 PANTONE® is the registered trademark of Pantone Inc.
Now it's time to meet W2 Products ... yet another design oriented company based in the UK. Founded in 2000 by Jackie Whitbread and Victoria Wilkinson, the W2 partnership has developed into a fabulous source for innovative and exciting products to grace our surroundings, thereby adding so much more colour and interest to our lives. With their experience in the design industry, this was inevitable. W2 was recently licensed by Pantone® to create a range of products depicting selected colours from the world famous PMS colour pallette. 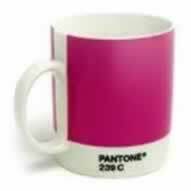 And so the spirit of Pantone® lives on in an unique collection of products such as bags, wallets and mugs. 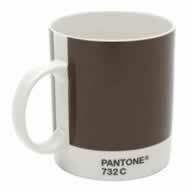 We currently stock the mugs and hope to add other items from the Pantone® range in the near future. The mugs are imprinted with the colour and come complete with the reference so familiar to the design industry. 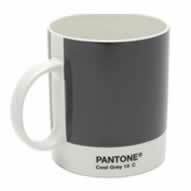 Designers may have a special connection to Pantone® but even if you are not associated with the design industry, the impact of a Pantone® mug on your desk or in your kitchen, is sure to colour you day. The mugs are made of bone china, they are 9.5cm high x 8cm across and hold 340ml. They are dishwasher and microwave safe except for the PINK 239 C which needs the TLC of hand washing.